While the majority of the population ponders whether to stay or go during a hurricane, surfers rush straight to the beaches to take advantage of unusually high surf and challenging waves. This is akin to skiers and snowboarders who flock to the mountains during a Nor'easter while the rest of the world cozies up at home. Surf shops in Wrightsville Beach are celebrating a busy rush as surfers cram to get leashes and bigger boards to handle the larger waves (See: Surfers Catch Big Waves). While the waves start to swell about 4 or 5 days before a hurricane, many surfers are anxious for the storm to get closer and the waves to get bigger (See: Surfers Braving the Waves at Wrightsville Beach). 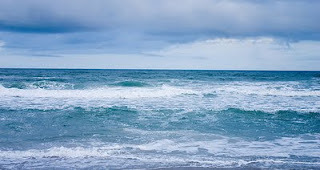 Wrightsville Beach is well known for it's beautiful blue waters and great surf, attracting many surfers as well as surf schools and international surf competitions to it's shores. Hurricane Irene is on it's way to the North Carolina coast but we are generally lucky that it's not set to make landfall in the Wrightsville Beach area. We're hopeful that the properties, beaches, and personnel in the Outer Banks region as well as the coastal Northeast get through this storm intact.